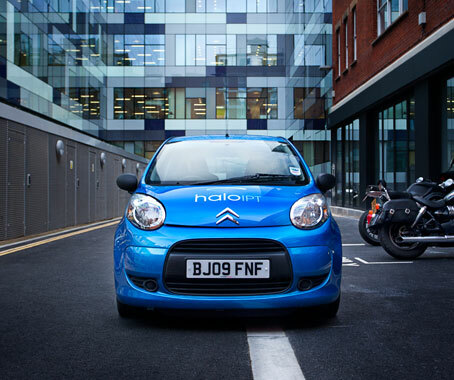 Qualcomm, who recently acquired wireless charging company HaloIPT, today announced the first Wireless Electric Vehicle Charging (WEVC) trial for London in what is a UK and industry-leading initiative. Qualcomm is collaborating with the UK Government, as well as the Mayor of London’s office and Transport for London (TfL) to deliver the trial. The pre-commercial trial is expected to start in early 2012 and will involve as many as 50 electric vehicles (EVs). The trial will use Qualcomm wireless inductive power transfer technology that enables high-efficiency power transfer across a large air gap. It is very easy to use: the driver simply parks the vehicle in the usual way and the system automatically aligns for power transfer, making parking easier and charging hassle free. The trial, which will be based partially in Tech City, the East London cluster receiving the strong support of the Prime Minister, is planned to leverage the Tech City entrepreneurial community and encourage companies to innovate around services and applications, in order to enhance the smart EV experience. Addison Lee, the UK’s largest minicab company, and Chargemaster plc, the leading European operator of advanced EV charging infrastructure, have also agreed to participate in the WEVC London trial. “As a company with a keen eye on the future, we believe that the WEVC London trial will provide unique insights into how wirelessly charged electric vehicles could be used in our business,” said John Griffin, chairman, Addison Lee.